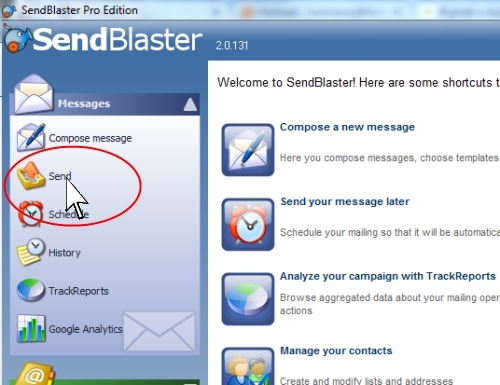 If you’re using SendBlaster as a mail client, it’s necessary to configure your SMTP settings in order to correctly send emails out: basically, it’s like giving SendBlaster the instructions about how to deliver your messages employing the correct outgoing server. SMTP server: your SMTP server’s name. If you don’t know it, have a look at our list of the major ones. 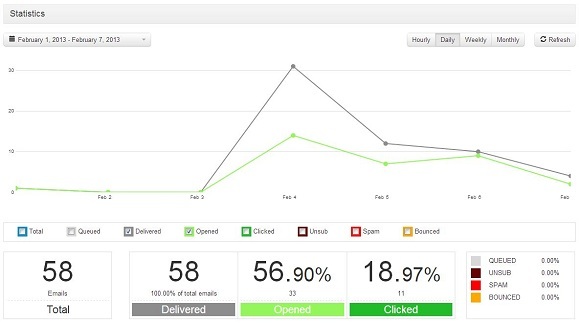 It’s important to remember, anyway, that if you are setting up a bulk email campaign and need to send out a certain amount of newsletters with Incredimail, you should definitely opt for a professional SMTP service that will ensure the highest deliverability. Authentication required: flag it if you want to send authenticated emails. Read our general article about how to configure an SMTP server to know more. Password: your password. 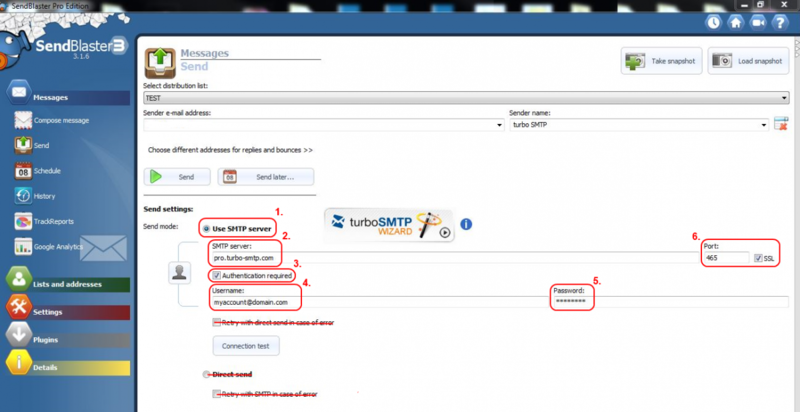 If you’re using turboSMTP, it’s the one that has been given to you after the susbcription. Port: the default port for SMTP is 25, but you can choose among different ones depending on your connection. 4. Click on “Connection test” to test the connection.